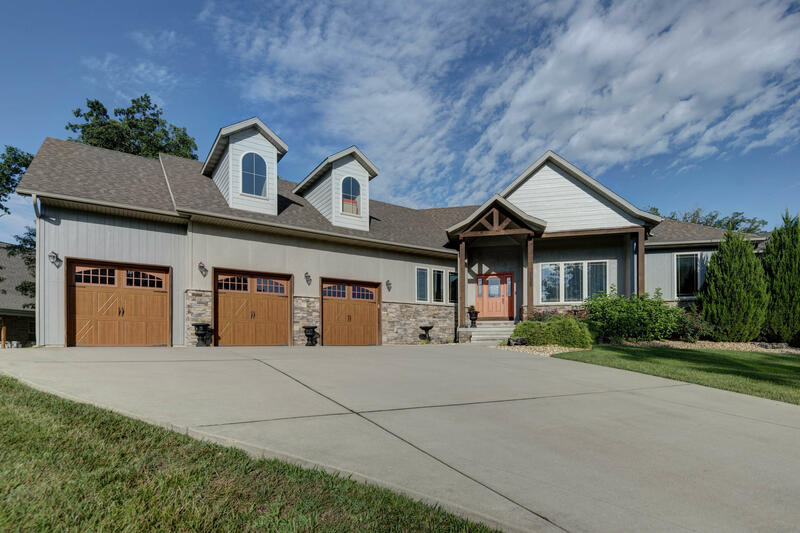 Located in one of the most desirable locations in Branson; this Custom Home features a spacious open floor plan perfect for entertaining guests or just hanging out with the family. A gorgeous over-sized kitchen with an island big enough to seat 6 with access out to one of the true stars of the home. A walk out level covered patio with with a large grilling station, seating area, and a built in concrete basketball court. The 3 car is also over-sized that allows for golf cart, and plenty of built in storage. This home is the home that all your friends and family will want to congregate towards!